The paper, Patent Trolls: Evidence from Targeted Firms, by Umit G. Gurun and Scott Duke Kominer assumes that NPEs are enforcing patents of questionable validity. However, the paper offers no proof of this and does not even try to justify this position. Once you start with that position, it is a foregone conclusion that any litigation is unjustified and wastes resources. However, the initial assumption is not proven and in fact many papers have shown the opposite. If you do not start with this assumption then the paper’s whole argument falls apart. Litigation losses by operating companies are a justified return to the inventor and their investors. The operating companies are not victims, but victimizers and the return to inventors and their investors encourages more inventive activity. Inherent in this statement is that anytime an operating firm that loses a patent litigation case to a NPE is a bad result. If the firm was stealing an invention, then the fact that they lost is a good thing. The companies that lost in litigation spend less on R&D according to the paper. Perhaps that is because they were not as inventive to start with, perhaps it is because they decided to focus on manufacturing and purchasing their R&D from outside inventors, and perhaps it is because they lost a substantial amount of money. These are not dire results or unexpected results or necessarily bad results. The paper implies that NPE lawsuits result in less spending on R&D, but just because firms that lose patent lawsuits spend less on R&D in the years immediately following, does not mean that total R&D is down. When inventors see their rights are upheld then they are encouraged to spend more time inventing. Unless you measure the amount spent by independent inventors or inventive firms who now see their rights upheld, you cannot draw that conclusion. These comments also apply to the citation differences. The authors are only looking at the microeconomic system that they care about, but you cannot draw the macroeconomic conclusions they do, because they don’t consider all the macroeconomic effects. The paper does not define what a NPE is. It starts with this surprising conclusion, “We show that NPEs on average target firms that are flush with cash (or have just had large positive cash shocks).” They needed a study to tell them that? Of course NPEs focus on companies with cash on hand, why would they waste their time suing companies that could not pay them? Especially after the eBay decision, in which they are unlikely to get an injunction. 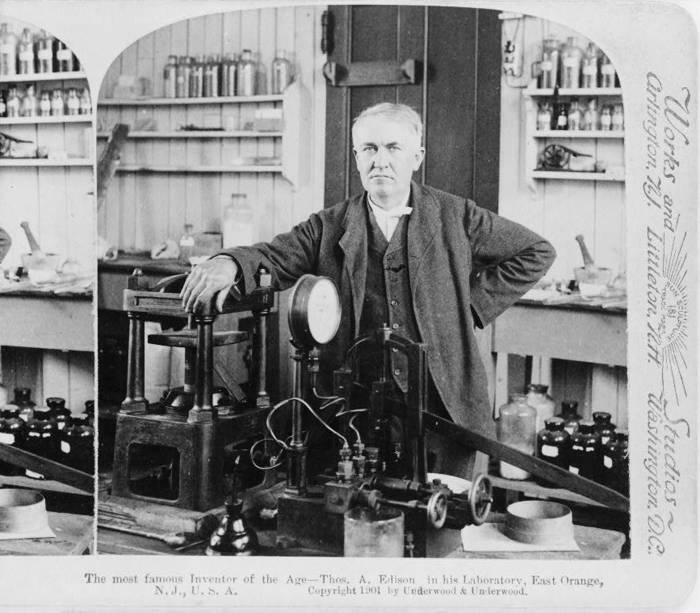 Edison, Tesla, Bell, Amstrong ‘amassed patents.’ In fact, most of the US’s greatest inventors were just inventors. They did not create patents ‘for the sake of producing commercial products.’ They specialized in being inventors and let manufactures concentrate on manufacturing. All of them were involved in numerous lawsuits. The difference between them and today’s inventors is that the courts were much more likely to uphold their rights to their inventions. As a result, manufacturers were much quicker to license inventions. In fact, one study showed that in the late 1800’s an inventor’s chance of monetizing their invention if they received a patent was around 85%. In other words they made money specializing as inventors. Today that figure would be less than 2%. Because courts allow companies like Google, Microsoft, Samsung, etc. to get away with stealing other people’s inventions, they make the calculated risk that it is better to go to court than pay an inventor a licensing fee. As a result, inventors often have to team with someone with a deep pocket in order to get large corporations to pay them the licensing fees they deserve. In fact, large companies such as IBM, Microsoft and others will also often team with people who are experts in licensing or litigation. Division of labor is generally considered a positive in economics. The fact that this paper is arguing against it means that it has to give extraordinary proof for its extraordinary claim. The attack on NPEs is really an attack on the profession of inventing. A uniquely American profession. This is not an academic paper, it is a propaganda paper pretending to be science.